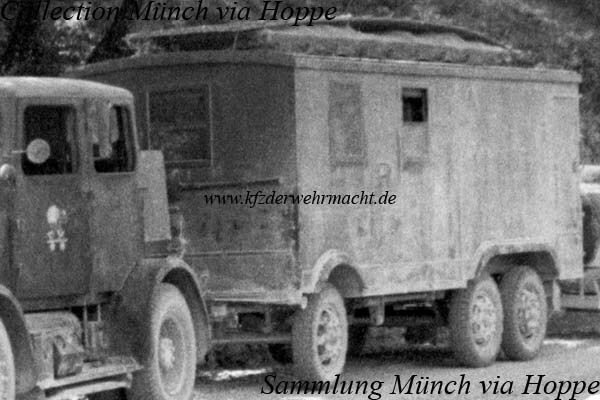 The Anhänger (B 3) 4,5t, geschlossen – trailer (B 3) 4.5 tons, closed - was based on the Anhängerfahrgestell B 3 of the Luftwaffe. The only known variants are the Anhänger I & II für Bildbearbeitung – trailers for image processing – (Anh. 363/1) and (Anh. 363/2), which were similar, outwardly. 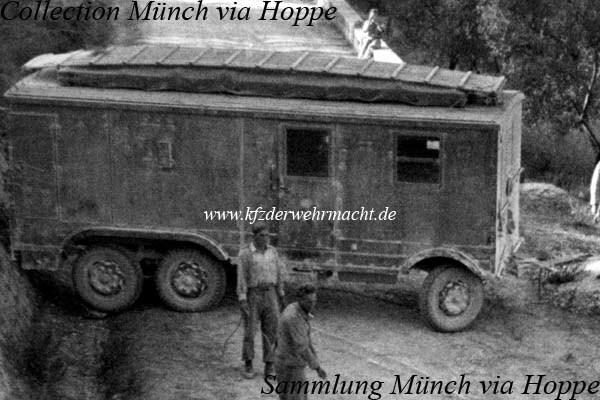 Presumably, the shown three-axle trailer of an image unit of the Luftwaffe is an Anh. 363/1 or an Anh. 363/2.